Online ordering menu for Juicy Claw. 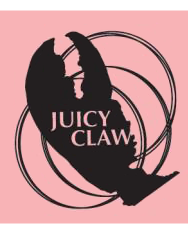 Welcome to Juicy Claw, where you can get delicious Seafood in the bag! Here we got all kinds of fresh seafood, steamed, fried, raw, juicy in the bag! Try our signature Juicy claw experience, get your feed wet! You will love it. Store located near the crossing of Jefferson Davis Hwy and River Ridge Blvd, in the River Oaks Shopping Center. We are cross the street from Potomac MS and Mary Williams ES. Also 2 minutes drive from Walmart SUpercenter. Order online today for pickup!